What to do when you’ve ruined origin/master. First of all, don’t panic. This can be fixed easily or relatively easily! Okay, now that we have that out of the way, let’s go over the ways to fix this. 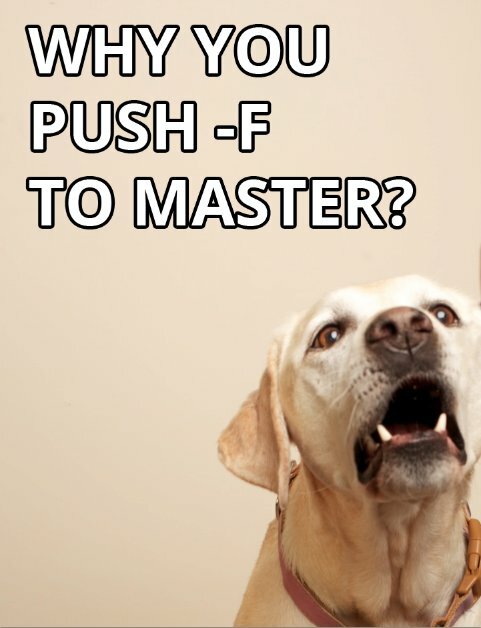 What’s not so easy is if you accidentally force push master to GitHub and you haven't fetched recently. Git will not let you push a reference you don’t have locally, and it won’t let you fetch commits that cannot be reached from some named reference like a branch. Fortunately, GitHub has an API that you can easily hit through everyone’s favorite command line data transfer tool, curl. Enter your password, and everything should be good. Find out why you accidentally force pushed to master, and learn from it. What is your Git config’s push value is set to? The default is matching which can get you into trouble if you just do a blank git push -f. This is changing to simple in Git 2.0 but current is another good choice. More options can be found in Git's man pages or at http://git-scm.com/docs/git-config. Also be careful with aliases that make it too easy to use flags you might not want. 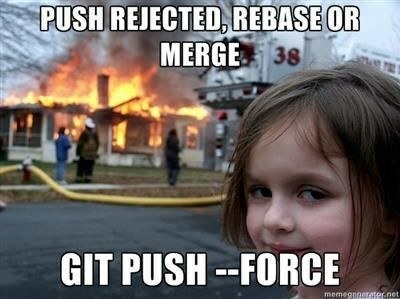 I personally use gush for git push which requires me to explicitly type -f, but many have set up an alias like gpf=‘git push -f’. It can save a little time but can easily get you in a bind.